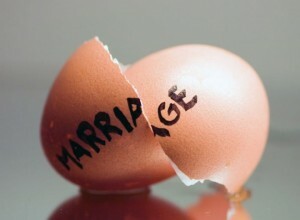 It’s natural that separation or divorce is a time of elevated emotional states. And without clear logical advice, it can have an adverse effect on your individual financial situation. Taking control of your income, debts and spending can help create the future you want. You’re probably not in a head space right now to want to tackle the really big financial questions, but you can start by taking stock of your day-to-day finances, then work your way up to tackling longer-term money goals. Depending on circumstances a divorce will fall into two categories – amicable and non-amicable. Either way it’s time to get finance smart! Finance doesn’t recognise emotion, and it doesn’t judge relationships. It’s simply a means that helps people achieve and protect their goals. Your Ink Wealth Advisor is the perfect person to help. In the eyes of a financial lender, you remain married and liable for any mortgages, loans, leases or credit cards that are in both your names until it is changed into individual names. So, anything that goes into arrears could have a big impact on your credit file which, in turn, may affect your future lending. Every individual has their own credit file (history) and you must now look after yours. Keep paying bills if at all possible. As long as receipts are kept, you can always seek reimbursement for the neglectful partner’s share when your settlement is finalised. If you know that your mortgage is going to go into arrears as payments are not being made, contact the bank and notify them straight away of the situation. Establish what joint accounts you currently have and with what lenders for all Mortgages, Credit Cards, Personal Loans and Savings Accounts. If you are unsure, you can go into the bank with your ID and request information and printouts on any accounts your name is attached to, or contact your bank’s customer service number and start from there. If you think there are going to be problems with ongoing loan repayments and you may fall behind, act fast. Contact the bank’s ‘Hardship Team’ straight away and discuss some options with them. They can tailor a solution for you. This may save your credit file and the bank taking action against you. If you have joint accounts (with anyone to sign) you might be concerned about your ex-partner spending the money within these accounts without your consent, for instance a Line of Credit. It’s therefore a good idea to ask for the account to be changed to BOTH MUST SIGN or into just your name if possible. Set up your own savings account with new password and pin. Change credit cards immediately out of joint names and start to establish your own credit history. Make sure you can afford to repay this, as you need to build a credit history – not impair a credit history. Be aware of any direct debits coming out of your joint accounts. These will need to be re-located to your new individual accounts. Start to plan your individual future, which may include changing beneficiaries within wills, insurances and superannuation. Change Rental Agreements into individual names if you’re renting. Change passwords on anything that may be known by others. Just like you need a solicitor or accountant at your side, you will also need a loyal wealth advisor as well. Your wealth advisor will assess your current situation and help guide you along the way. They will be able to answer your questions, set up your financial arrangements and be there for you for years to come. UNDERSTANDING your options relating to investments, division of assets, superannuation, business related finances and the consequences of your choices. PLANNING according to what you have and what you need now and in the immediate future. MANAGING and factoring in specific expenditure items that crop up intermittently. RESTRUCTURING mortgages, personal insurance, superannuation, personal loans and credit cards. It sounds clichéd, but this small investment is actually a big investment in your financial future. It’s not hard to get the ball rolling either. The best thing to do is to write down a list of all the questions you have around your finances, and then make an appointment. Copy of Separation Agreement, Consent orders or an outline of proposed assets & liabilities if not yet formalised. Once we have all your paperwork and had a chance to talk through your individual situation, we can come up with a short and long term plan tailored just for you. It might involve keeping the family home, in which case your Ink Wealth Advisor will help you ascertain exactly how much you can take on. Or, you might want to buy something new. We will work out how much of a deposit you need and compare banks and interest rates to find the best loan for you. Whether it’s the big things – like houses, or the small things – like a weekly budget, your Ink Wealth Advisor will cover it all. It’s about managing your money now and into the future so you can live well, save well, invest well, and most of all, rest well knowing you’re taking control of your own financial future. Contact us today to learn more.